I wanted to create a feeling of a calling, the kind that whispers to us when we least expect it. The kind of calling that moves us past what we know to places where the unknown provokes us to wonder…and discover new knowledge about ourselves and the world. Coincidences stick like burrs to the intricately-woven cloth of the mind. At the same time as I got the heads up about Kathryn Brimblecombe-Fox’s website of delicate yet powerful artwork interwoven with thoughtful reflections, I also stumbled on another accomplished artist of another generation of whom I had never heard – Edna Clarke Hall. 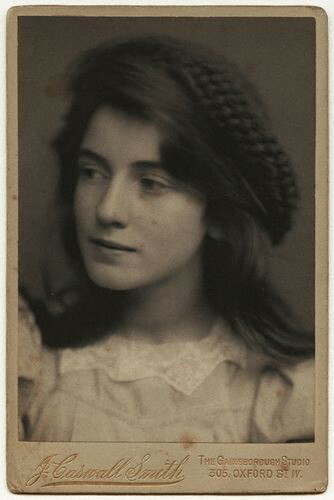 I spotted a haunting photograph of her in Hollis’ moving account of Edward Thomas‘ last years (more of that in later posts for sure) and tracked down some websites with samples of her swiftly executed images that capture in expressive lines and mood-saturated colours the essence of the passing moment. Though their occasional absence of faces is somewhat disconcerting, they have hooked my imagination, rather as Kathryn’s reflective artwork has, and I keep going back to them. I felt they were worth mentioning in case others were similarly ignorant of Clarke Hall’s existence until now. 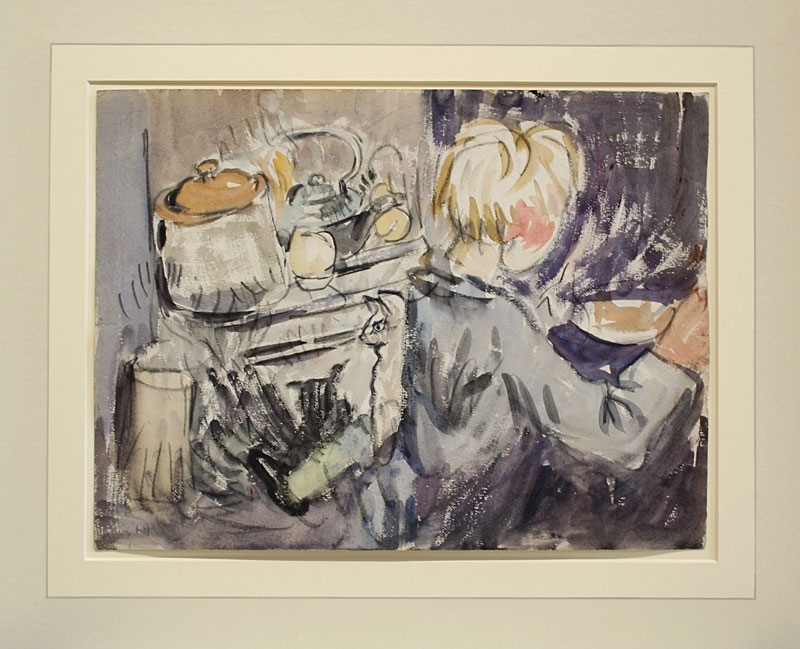 Edna Clarke Hall had exhibited her watercolours annually with Vanessa Bell’s Friday Club since 1910; in April 1914 a successful solo exhibition at the Chenil Gallery in Chelsea showed fifty-six works and grossed £147 in sales. Shortly after, she temporarily set aside her paints to spend the next two years on verse. Her life in Essex was lonely. William Clarke Hall was a barrister and campaigner for children’s rights who spent lengthy weeks in his chambers at Gray’s Inn, leaving his wife feeling isolated in their country house. 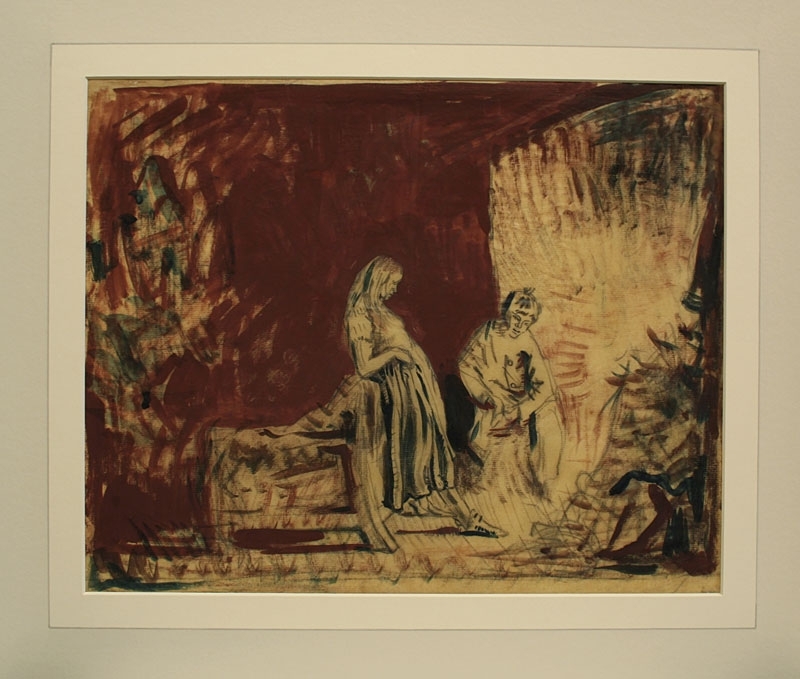 The couple had two boys of their own, but Edna could not forgive her husband’s decision to apply his energies to the children of his charitv work, some of whom were foundlings, abandoned by prostitutes. William would return at the weekends with an orphan in tow, sometimes leaving Edna to care for the child when he returned to London the next week. For Edna, the longing and the hurt was intense. ‘Why does a man engrose [sic] his mind in this cause of prostitutes leaving his wife sick to the heart in loneliness,’ she wrote in her journal. Thomas’s gentle understanding of Edna’s domestic plight, and their rangy, artistic conversations and shared interests, were a lifeline to Edna that winter of 1915. Thomas’s departure would be a hard blow for Edna, who would sink into a terrible depression in the years to come. In Edward she had found a relationship of a kind that she believed she could never have with her husband: one that was careful, artistic and loving. . . . . the principle of religion has been revealed by Bahá’u’lláh that woman must be given the privilege of equal education with man and full right to his prerogatives. That is to say, there must be no difference in the education of male and female in order that womankind may develop equal capacity and importance with man in the social and economic equation. Then the world will attain unity and harmony. In past ages humanity has been defective and inefficient because it has been incomplete. War and its ravages have blighted the world; the education of woman will be a mighty step toward its abolition and ending, for she will use her whole influence against war. (The Promulgation of Universal Peace:Talks Delivered by ‘Abdu’l-Bahá during His Visit to the US and Canada in 1912, page 108). The life of Aung San Suu Kyi provides a good example of how that can work.